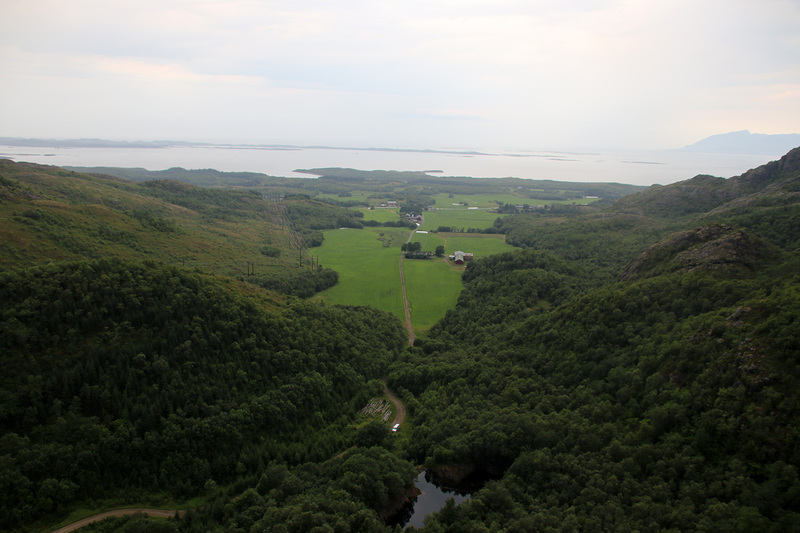 I was on my way to visit my mom in Brønnøysund after hiking Ruten and spending the night on Stav Gjestegård (without sleeping much). 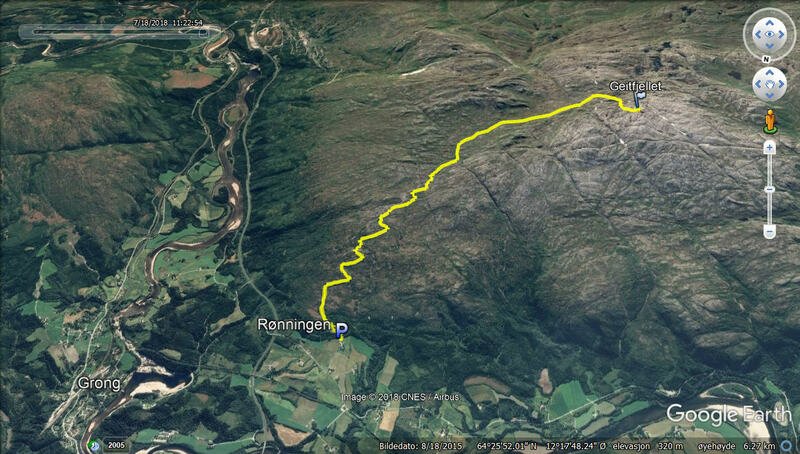 The plan was to do a hike on my way to Brønnøysund, to increase my new top 2018 count from 94 to 95, and my choice fell on Geitfjellet near Grong. 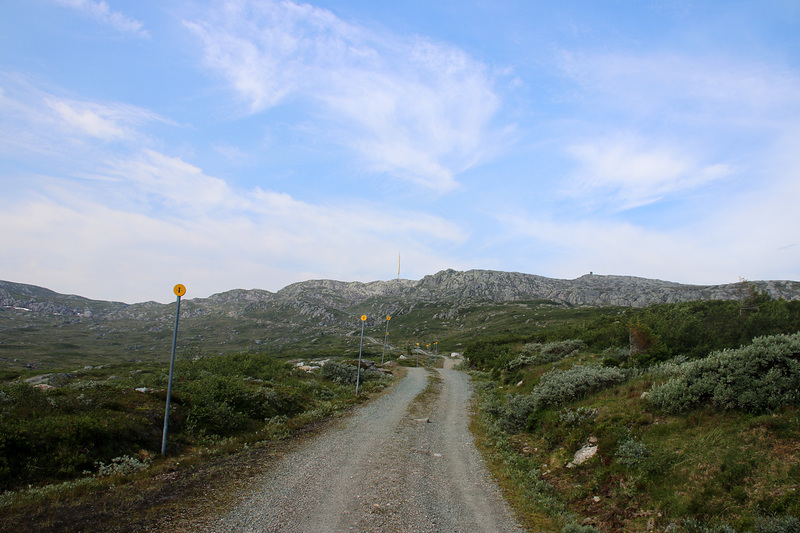 When I located the Rønningen trailhead, I looked forward to a nice and easy stroll up the 7,5km mountain service road, leading all the way to the top. And that was just when I realized I had a fairly important conference call with the UK office at noon. Important enough to accept it during my vacation, and important enough to change my plans for hiking today. I headed out 9:20am and my body soon went into “dafuq ? ?” mode, but eventually I found the rhythm and made steady progress up the mountain road. I was quite happy when the summit tower came into view, and it gave me inspiration to keep up the pace. 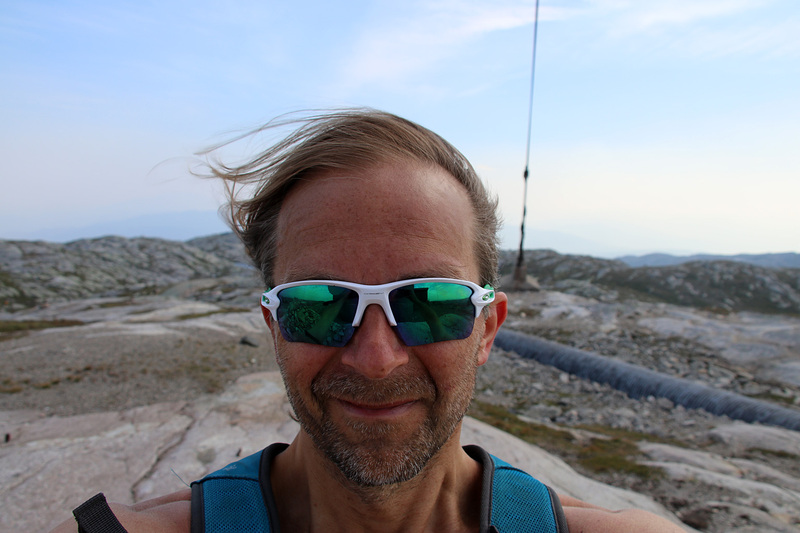 Without impressing anyone (myself included), the stopwatch said 1h:08m – 6km/h when I reached the top. At least, I had hoped to reach the top within the hour. But OK, I would at least reach the conference call with good margin. 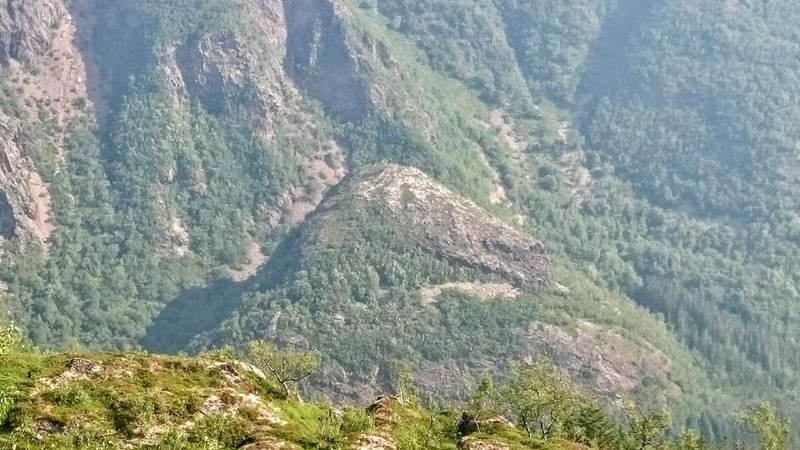 A car passed me on the way up, and returned down when I reached the top. Someone obviously had a key to the locked gate at the trailhead. After a couple of minutes resting, I started jogging down. Further down the road, I passed a cabin, where the 4 persons from the car sat outside and enjoyed coffee. One of them approached me and invited me to sit with them. And normally, I would, if it hadn’t been for the conference call. I politely declined and continued down the mountain road. I reached the car 11:22am, which meant the whole hike (or jog) took 2 hours, and that I had PLENTY of time before my conference call. Time enough to drive up to Harran and enjoy a hot dog before calling in. 12:30am, I continued my travel to Brønnøysund. 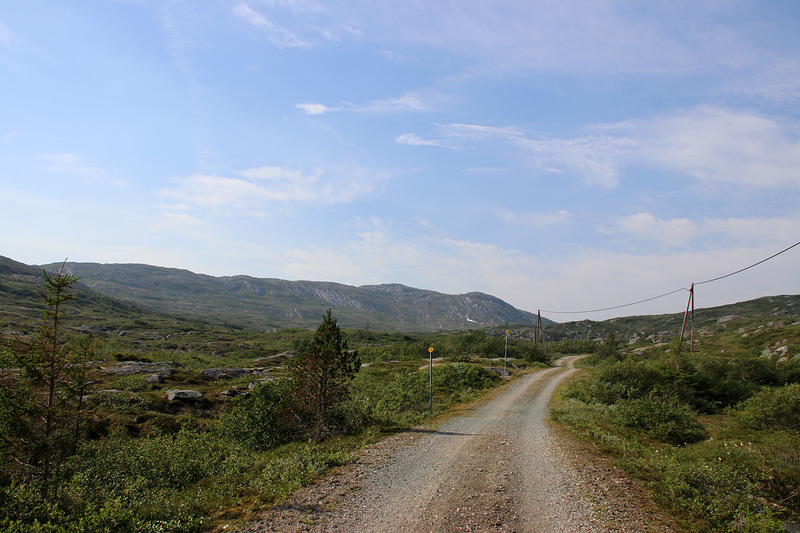 I arrived at my mom’s place in Brønnøysund, settled in and got a bit restless as it was still early in the day. Even if it was raining cats and dogs. 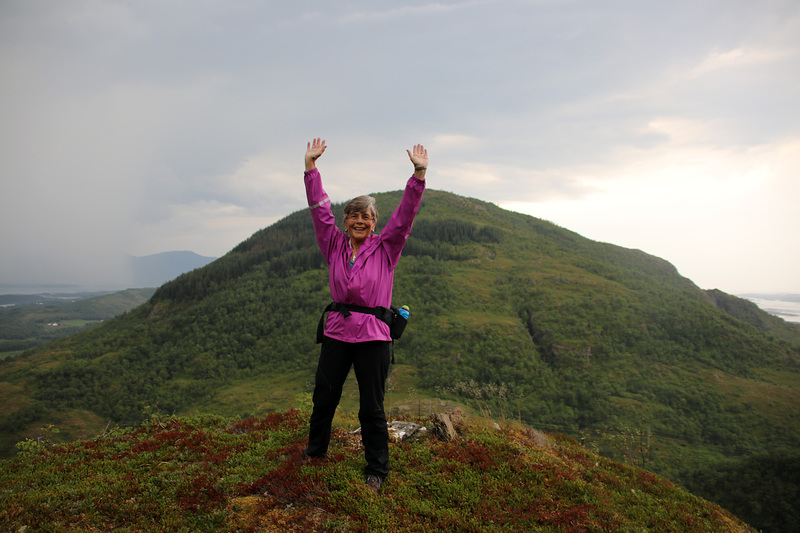 Mom is an avid hiker – 73 years old – and we talked about various hikes. She told me that she still hadn’t been to Medhatten – a low hump between Mosaksla and Tilremshatten. She found the hump to be too steep to attempt on her own, so I said “let’s go”. She didn’t need any time to think about the offer, and we were soon on our way. We drove to Einvollan and asked for permission to park near the farm. The farm owner was curious about our presence, and I explained that we were heading for Medhatten. It was ages since he was up there, and couldn’t give me any other advice except where to park. 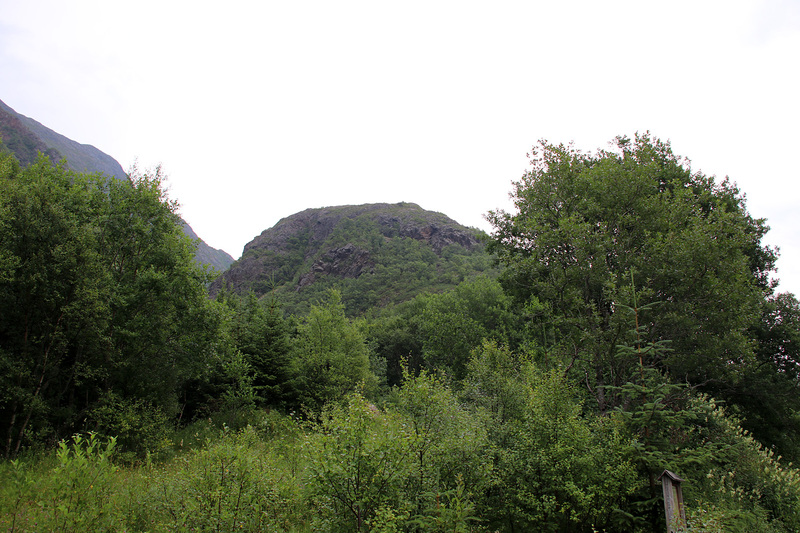 We parked near a dam that we couldn’t see, and followed a distinct ridge leading up to the hump. Because of thick forest, it was hard to make a good decision about where to go. We tried to ascend up the west side, but it was just too awkward and exposed. We then tried from the southwest, and found a fairly easy route up to the upper part of the ridge. The only drama was lightning and thunder, coming closer every minute. I told mom that we had to get up and down as fast as possible. 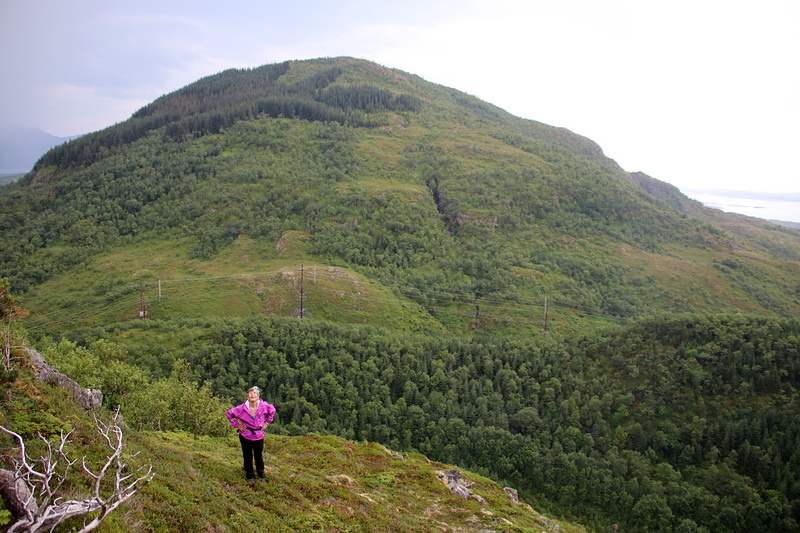 It was evident that mom was *really happy* about reaching the top.